Perfectly whitening, sweetening, and flavoring beverages is more than just our passion. It’s our obsession. If there’s a better way to prepare beverages, you can count on us to find it. Our skilled engineers can bring any idea to life, and they’ve successfully built SureShot’s reputation as an expert problem solver. As part of our product development process, we’re constantly monitoring market trends and listening to our customers. 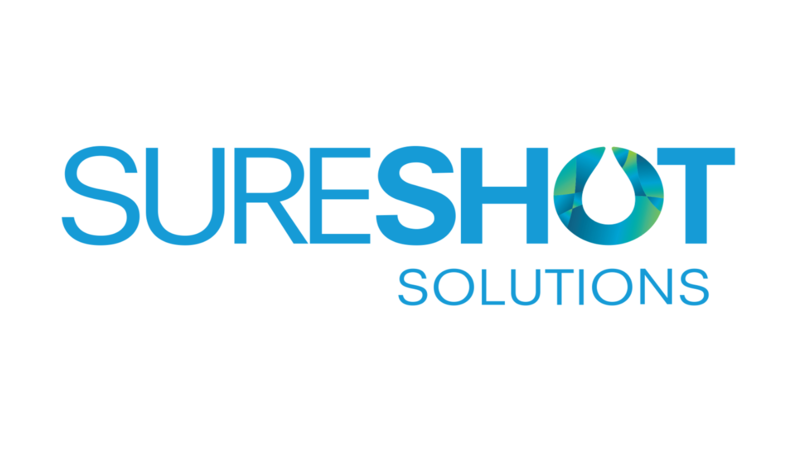 Highly specialized in technology development, SureShot provides smart beverage solutions that will truly transform your business. We don’t find customers for our products; we find products for our customers. We work hand-in-hand with a variety of clients to develop customized solutions that satisfy their needs. To ensure these solutions exceed expectations, we engage customers in all stages of product development, from idea generation to concept testing. Once our products are finalized, our service team looks for every opportunity to go the extra mile and deliver post-sales support. We’ve been perfecting the art of dispensing for over 30 years, and we’ve shown countless satisfied customers that our equipment is built to last. We carefully assemble each of our products by hand, controlling every aspect of the process from design through delivery. With elegantly simple designs that make for easy operation and maintenance, you can rest assured that your SureShot dispenser will stand the test of time. We understand the power of personalization. Our dispensers offer bottomless beverage possibilities that satisfy any taste. Whether you’re providing made-to-order beverages or a do-it-yourself beverage station, our equipment encourages customers and guests alike to create their own signature drinks. Respond to an increasing demand for custom everything, and let SureShot turn every cup into a unique experience. We’ve been providing solutions to customers like you since our founder Michael R. Duck invented the first portion-control dairy dispenser back in 1985. Since then, we’ve had the pleasure and honor of working alongside many of the world’s leading quick-serve restaurant chains and convenience retailers. Our solutions exist to help grow coffee and beverage programs through customization and consistency. With SureShot dispensers, your guests will always be able to get the exact beverage they want, making it easy for them to fall in love with your brand. To be the partner of choice where creating new market space is a way of life. Delivering valuable solutions to the food and beverage industry through insight and innovation. Known for taking things apart and fixing them, Mike is considered a jack-of-all-trades who loves the challenge of bringing broken gadgets back to life. This quality comes in pretty handy; having him around means just about everything is kept in working order. When he isn’t catching up with SureShot employees, Mike can be found on the golf course, working on his game. Not a fan of the cold, he chases the warm weather and spends his winters where there’s a mild, sunny climate. Although this means he gets to practice his swing year round, he hasn’t made it to the PGA tour just yet – but he’s hoping an invitation comes along soon! Although he grew up in a small island village, David has big city ambition that has led him to complete several triathlons and become the maker of the world’s finest seafood chowder. He attributes much of his success to being extremely inquisitive by nature; he just loves to ask questions! What he likes most about working at SureShot is being able to learn new things. As such, he always brown-bags it and brings his lunch to work; after all, you’re sure to learn something new every day if you hang out in the lunch room! When not in the office, David can usually be found enjoying the great outdoors. Ian is a devoted father to five – or seven if you count the fur babies. His children used to keep him very busy, but now they’re all grown up. They’re known for being wildly successful; each one of them pursued higher education, and their achievements have proven they know a thing or two about hard work. Although he denies using some secret strategy for raising well-rounded kids, it’s obvious he must have done something right! In his free time, Ian likes to socialize and plan neighborhood activities. Very often, these activities include music as he appreciates a good jam session, and he sings and plays the guitar. While his swing isn’t quite as good as that of Tiger Woods, Ian is an avid golfer who has dreams of one day making it to a professional tour. For now, though, he’ll stick with being an accountant as it makes for a more financially stable career. Besides golf, he likes to spend his free time playing hockey, skiing, or hanging out at his cottage. He also likes keeping up-to-date on politics and current affairs. Although he’s been trying to get his kids interested in these topics too, he hasn’t had much success. Luckily, both his son and daughter love sports, so they at least they share this in common. Cam is known around the office for his funny bone. Not only is he proficient at offering up a wisecrack whenever it’s least expected, but he also gives some of the best presentations, typically opening up with a stand-up routine that gets everyone doubled over with laughter. In his free time, Cam likes to travel. While he loves to visit new places of all kinds, he has a preference for those with access to sun, sand, and surf! Although he enjoys a home cooked meal just as much as the next guy, he can often be found supporting our customers by grabbing a bite to eat from one of their locations. Although he sells SureShot dispensers by day, Claude avidly practices the art of DIY by night; he just loves getting his hands dirty, repairing, fixing, or building things. He figures he could give Tim ‘the tool man’ Taylor a run for his money and deliver a solid 40-minute presentation on ‘how to rebuild an engine’ with absolutely no preparation. Besides keeping things in working order, Claude spends his free time cycling, vacationing with family, and collecting vintage stereo equipment. A well-seasoned vegan, he prefers to indulge in plant-based foods but admits he’d opt for a good steak if he knew his next meal would be his last. Heather is one of the few people who can say she’s jumped out of an airplane and lived to tell the tale! As a daring thrill-seeker, she’s skydived and hang-glided, and she loves riding the biggest and baddest roller coasters she can find. Besides looking for ways to get her adrenaline pumping, Heather loves to travel. Having lived in three countries and having visited 20, she always seems to be planning her next trip. But don’t get her wrong; she also enjoys spending time at home with her family, especially her fur babies. Passionate about animal rescue, this sales purr-fessional has rescued a cat and dog, and she loves spoiling them both! Car-ismatic Graham is a lover of all things automotive. While he’s fascinated by vehicles of all kinds, he has a soft spot for old VWs, Mustangs, and classic motorcycles. This same fascination drives him to attend local car shows so that he can scope out new rides for his collection. Although this collection – including a 1961 VW bus and a 2001 Saleen Mustang – is still quite small, his dream is to be able to keep adding to it until he can host his own car show! With an ability to step on it both behind the wheel and at work, what he enjoys most about his job is being able to encourage and facilitate great teamwork. Known for her outgoing personality, Deanna loves to socialize and says her house is like a bed and breakfast with friends and family frequently popping in to stay the night. With a constant stream of house guests, two youngsters, and a new puppy, Deanna is a busy mom who spends her free time at the hockey rink, baseball field, or soccer pitch, watching her kids do what they love. Around the office, she’s notorious for her speed-reading skills, and she can often be found with a coffee in-hand, learning about the latest industry trends by reading everything she can get her hands on! Australian-born Chris is well-suited for a profession in QA; known for his unwavering due diligence and organizational skills, he crosses all t’s and dots all i’s. A lover of all things nature, he enjoys outdoor activities, like hiking. Speaking of outdoor activities, he once tried sky-diving, and he recently took a paragliding course! And, if you think that’s adventurous, he also used to be an avid competitive diver! What Chris loves most about his job is laughing with coworkers. Lucky for him, SureShot has lots of common areas, and you can usually find him in one of them, sharing stories and connecting with his peers. With a tendency of saying what everyone else is thinking, Lorrie always speaks her mind! At work, she spends her days keeping people on task, managing projects with lots of moving parts. This is an easy job for Lorrie; she remembers the tiniest details, meaning things rarely – if ever – fall through the cracks under her watch. In the wintertime, you can find her running from rink to rink as both her and her son play hockey. In the summertime, you can find her on the lake, boating, tubing, kneeboarding, or doing anything except wakeboarding; she tried that once and doesn’t need to relive the experience or the injury! Always tinkering with something, Jim loves to get his hands dirty and is known by family, friends, and coworkers alike as a handyman extraordinaire. To help fuel his passion for fixing things, he’s always looking for new tools, and he has acquired quite the collection! Just ask his kids; they think he might be able to open up his own hardware store soon. When he’s not taking things apart and putting them back together, he likes to spend time with family. On weekends, you can usually find him chasing his grandkids around, watching a Nascar race, or tuning in to catch an NBA game. Having worked at SureShot for over 20 years, Tracey is highly skilled in Logistics, and she regularly puts her planning expertise to good use, helping the Team Building Committee organize company events. Her love of bringing people together carries over into her personal life in which she’s known for her hospitality and hosting get-togethers for family and friends. Although she’s always up for mingling, she also values downtime because it means she can curl up with a good book. What she enjoys most about her job is turning challenges into opportunities. Needless to say, if anyone finds themselves in a tight spot, she’s the one to talk to! Although he has a soothing voice and calm demeanor, Kelby appreciates the loud, ear-piercing roar of a sports bike engine. Over the years, this bike buff has learned a thing or two about joyrides, and he just loves riding and fixing motorcycles. And while powerful torque doesn’t quite scare him, heights sure do! Kelby would rather remain low to the ground, and when he’s not out on the open road, he likes to spend his free time volunteering. What he enjoys most about his job is constantly being challenged to make things better. But because SureShot is dedicated to continuous improvement, his passion for excellence makes him feel right at home! Shaleen is known for her dry sense of humor. With sarcasm as her verbal weapon of choice, she can often be found lightening the mood with her clever remarks and witty comebacks. At work, she’s responsible for making sure everyone gets paid, and while she doesn’t like to perform in front of an audience, she can often be found singing in the comfort of her office. Outside of work, she enjoys spending time with family and friends. Oh, and here are some more fun facts: although she loves to travel, she has a fear of flying, and although she loves to eat, she claims she can’t cook! Julie is full of surprises! On the surface, she’s a hard-working visionary who gets a rush off of anything that has to do with optimization, continuous improvement, and calendars booked with more meetings than she has time to attend. But dig a little deeper, and you’ll be amazed by what you find; she’s known for scoring hat tricks on the hockey rink, performing impromptu drum solos, and doing outdoorsy stuff, like cycling and camping. Being a twin, she’s a natural at bonding with others. Putting these skills to good use, she runs a local hockey league and keeps in shape by playing the sport herself two to three times a week.